Internet marketing, also referred to as Online Marketing, iMarketing or e-Marketing, is simply the marketing of products or services over the Internet. Search Engine Optimization is also a form of Internet marketing, and it will definitely get you off to a good start, but SEO alone will probably not cut it as a stand alone marketing solution for your business. There are a number of other simple and cost effective eMarketing solutions available to help promote your business that can be integrated into your overall SEO strategy, and they can actually help increase your optimization as well. Some people believe that if they can just get a website up and get it optimized well, they can just set back and watch the money roll in. Maybe if you have developed some sort of disruptive technology that renders everything that came before it totally obsolete and it is priced less than it's predecessors, you could get by with this strategy, but it won't work for the vast majority of us. We need to develop a multi-faceted approach to insure we are maximizing our return on investment (ROI). The Internet has taken media to a global audience. The interactive nature of Internet marketing in terms of providing and eliciting immediate responses are the unique qualities of this medium. Internet marketing is sometimes considered to be broad in scope because it not only refers to marketing on the Internet, but also includes marketing done via e-mail and wireless media, which takes us to our next points. 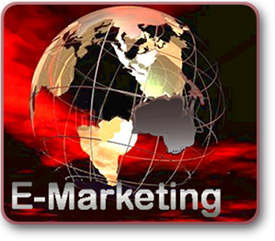 One of the simplest and most effective Internet marketing tools, in addition to a website, is the email mailing list. This provides a very easy way to stay in communication with your customers or clients, informing them of any events, sales, or special offers you may be promoting at the time. They each will receive a personalized message and it doesn't matter if you have thousands of clients, you only have to send one email. This is not only highly productive, but an efficient use of time as well. The next generation of this concept is the RSS Feed. RSS originally stood for Really Simple Syndication, but over time the definition has morphed into Rich Site Summary. No matter what definition you choose, this is an awesome way to stay in touch. You simply publish a feed that your visitors can subscribe to and they will be instantly notified when ever you publish any new information. It's as easy as writing an email. Putting an opt-in mailing list form on your site and publishing a blog with an RSS feed are very simple ways to stay in touch. The bottom line is that Internet marketing ties together the creative and technical aspects of the Internet, including: design, development, promotion, advertising, and sales. Let Full Impact Web Design help you launch your business into the global marketplace.